Mikael Lustig is looking for Celtic to get back to winning ways against Partick Thistle on Wednesday night after their 69-game unbeaten domestic run was ended by Hearts on Sunday. A highly-charged Jambos side surged into a two-goal interval lead in an enthralling Ladbrokes Premiership clash as 16-year-old Harry Cochrane fired in his first goal for the club in the 26th minute and former Rangers striker Kyle Lafferty added a second in the 35th. Attacker David Milinkovic grabbed a double after the break, one from the spot, as the Edinburgh side delivered a first defeat by a Scottish club to Hoops boss Brendan Rodgers since he took over at the Parkhead club in the summer of 2016. Sweden right-back Lustig preferred to look forward to the visit of the Jags, a game in hand which gives the Hoops the chance to go five points clear of second-place Aberdeen, rather than reflect on their British record run. He said: "The pride is not something we will look at over the next few days. "My feeling is that I'm glad the game against Partick is coming on Wednesday and we can get back out at Celtic Park and start winning again. "Now is not time to look back and see what we have achieved, we have to look forward. "It's a special feeling to go nearly two years without losing a domestic game. The things we have done haven't been done before and probably won't be done again, so it's unbelievable. "But of course it was a really sore one and all the credit to the Hearts team who really went for it. "I don't know what went wrong – everything. The pitch wasn't the best, but Hearts were better. "Early on we had a couple of chances from midfield and I felt we had some space to play football, but after the first goal we didn't manage to create and we didn't win the duels." Hearts boss Craig Levein joked about how he viewed the game which extended his side's unbeaten run to six games. He said: "At 89 minutes I thought, 'We might win this'. And it felt quite good. "Up to that point I was just ranting and raving and jumping about like a madman. "But I'll enjoy it. I'll take a deep breath and we won't think about the next game until St Johnstone until Monday." 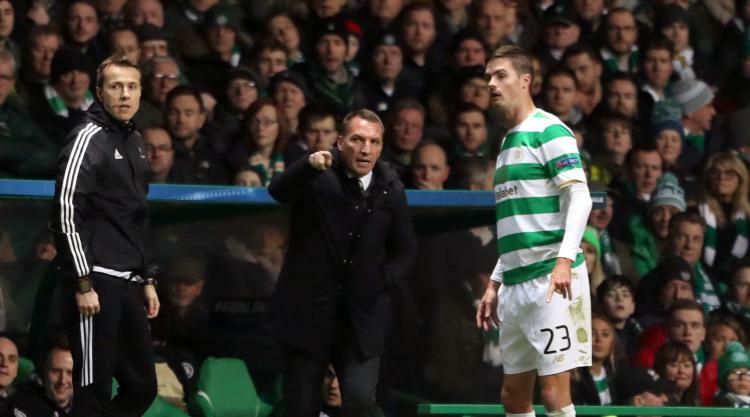 The post Celtic's Lustig focused on starting new winning run after shock loss to Hearts appeared first on News Wire Now.